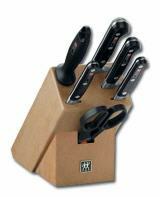 Here You find the famous ZWILLING knives! ZWILLING. Don't you just love it sharp? ZWILLING stands for high-quality products.